To complement its flagship VentCore® line of products, award–winning holster manufacturer StealthGearUSA™ is pleased to announce the launch of its new SG-Revolution™ line of American made custom-built breathable everyday carry (EDC) holsters. 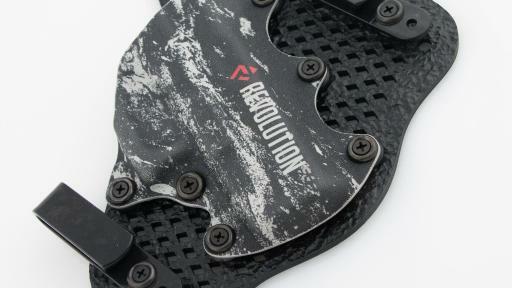 Filling a need in the marketplace to provide a lightweight, comfortable and slim-designed custom quality-built holster that can work hard and take a beating in everyday situations, the company will begin selling a limited amount of its new SG-Revolution products to consumers on October 28 via StealthGearUSA.com, under an aggressive rolling launch campaign to meet demand. Upon release, the SG-Revolution holster for each available handgun model will ship to consumers within 72 hours of placing an order. Each one of StealthGearUSA’s SG-Revolution hand-crafted holster shells are manufactured to the exact specifications of the consumer’s personal handgun, making for an unparalleled fit. 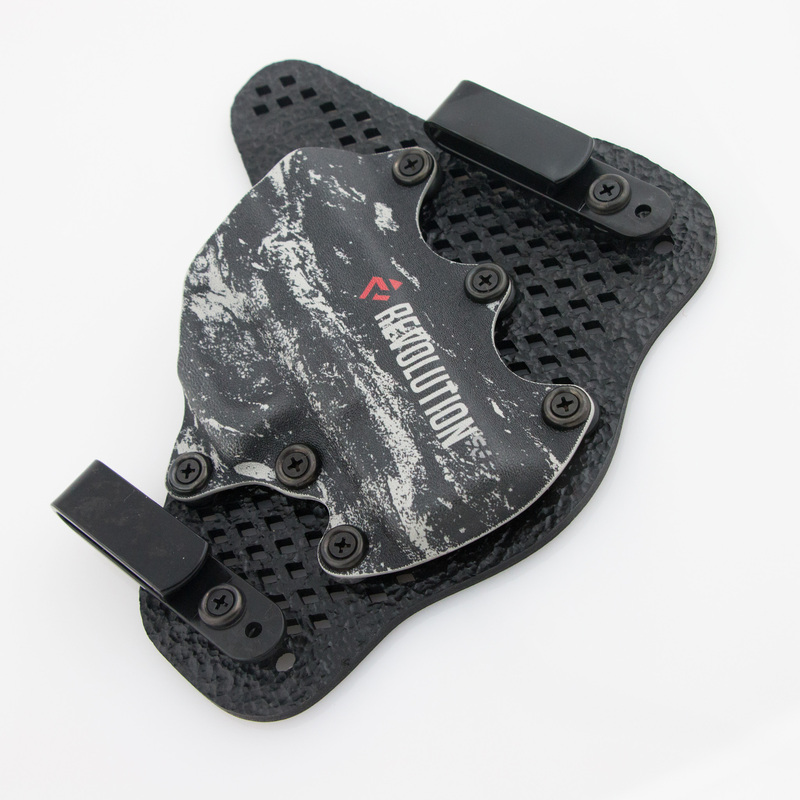 Expertly made to the company’s own exacting standards, each SG-Revolution holster is laser cut, and features breathable diamond-shaped ports cut into a single layer proprietary ACX-57 polymer platform. The platforms are manufactured to be tough and flexible, and they feature a non-moisture absorbing suede-like back surface to ensure comfort against the body. Additionally, SG-Revolution products have low-friction pebbled surfaces that enable the user to experience quicker, smoother draws which decreases drag by 50% for increased draw speed. All StealthGearUSA holsters are made from the highest-quality materials, including the highest grade (.093”) Kydex®, in-house designed polymer clips and black oxide stainless steel fasteners. The SG-Revolution line of accessories are light-weight and flexible to complement the wearer’s every day life and activities, whether that be hiking, biking, fly fishing in the backwoods, or simply a hard day of work. To complement the holsters, StealthGearUSA will also be offering single and double magazine carriers under the SG-Revolution line. SG-Revolution mag carriers will be available in mid-November 2016 and will be shipped to customers within 72 hours of order. * StealthGearUSA, Ventcore, and StealthGear Revolution and their respective images, logos, and renderings, are all registered trademarks of StealthGearUSA. * Media samples are available upon request, supplies are limited.